All our frames have a 10 year warranty against defects in materials and workmanship. All other components, with exception of wear and tear items, are covered by the implied warranty for 24 months. The battery is a wearing part where the implied warranty applies. Many manufacturers limit the warranty period considerably or give no warranty at all. 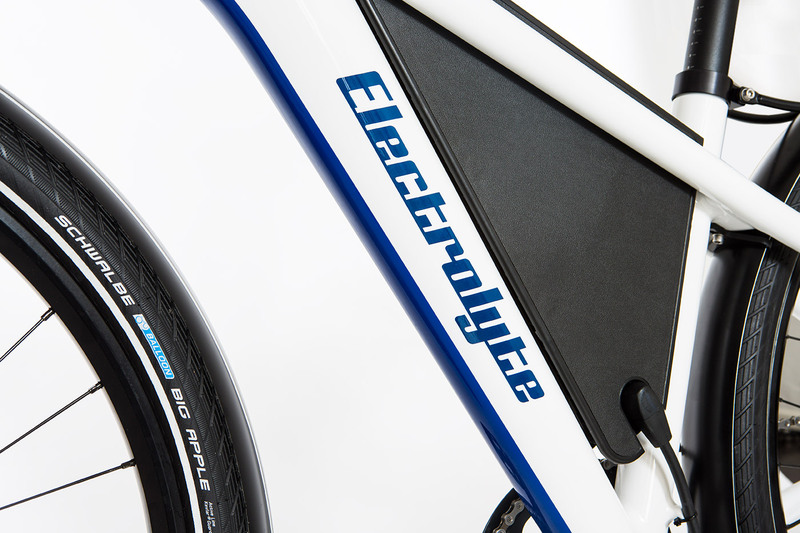 Electrolyte voluntarily includes a 2 year limited warranty on built-in Electrolyte batteries, as long as 800 full charge cycles are not exceeded, the batteries are properly handled and a residual capacity of less than 75% is available. For some components we have extended warranties available. For example, there is a 5 year extended warranty available for the Pinion gearboxes. Further information is available in the supplied owners manuals.